We catch up with India’s most disruptive startup OYO that has upended the hospitality sector in the country, a space dominated by MakeMyTrip so far. And just like San Francisco-based startup Airbnb that transitioned from a hotel service to a lifestyle brand, there is some serious rebranding going on at OYO, India’s leading hospitality startup. The last two years have seen the Gurugram-based company move away from the aggregation mode to a pure-play franchise business model, allowing hotel partners to operate under the OYO brand. The shift has allowed OYO to emerge as the country’s largest hotel network with an inventory of 70,000 rooms through 8,500 hotels. In a freewheeling chat with Analytics India Magazine, CTO Anil Goel tells us how the disruptive approach is led by a tech-based innovation. In today’s data-driven economy, the real differentiator for startups and enterprises will be the data they generate, and more importantly, the end value derived from that data. 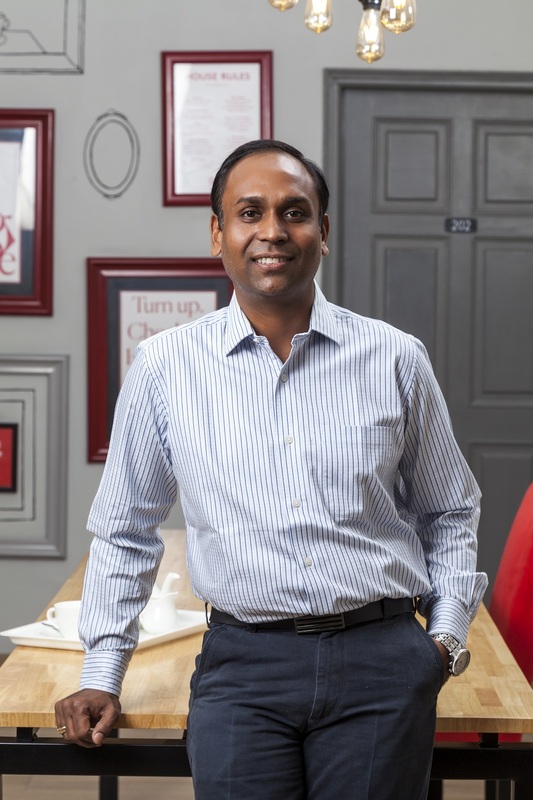 It’s an approach that Goel, a seasoned tech veteran who previously held leadership positions in Amazon India and Hike Messenger understands very well and has leveraged it to make cutting-edge tech-focused products. Under the stewardship of Goel, the startup continues its upward trajectory by continuously prioritizing and investing in technology and we aren’t just talking about guest-facing innovations (Sunrise Check-In feature) but also innovating back of the house operations by providing end-to-end technology to hospitality partners and internal workforce. The results can be seen in an excellent guest experience. By ushering in a platform approach and unifying systems across departments, the startup has standardized the customer experience. “We have a large amount of tech that our hotel partners and our internal workforce use. 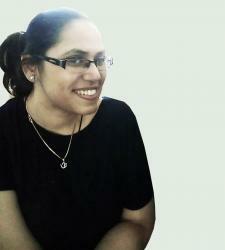 This works as a unique differentiator in offering an enhanced customer experience,” said Goel. Case in point – OYO provides end-to-end technology for all the hotel partners to run operations efficiently; the property management systems is used to handle check-in, check-outs and make adjustment to prices according to demand. OYO’s internal workforce uses Krypton – an internal audit app to audit the hotels properties and it also captures customer feedback which helps identify any experience issues. Then there is Orbis, a BI tool used by the Sales workforce to understand the demand patterns in the area and offers they should be making to different partner hotels. So, what helps OYO stave off competition? “Our continuous investment in technology throughout the ecosystem for customers, partners help us stay ahead of the competition and gives us an end-to-end control,” said Goel. The recent unveiling of OYO’s first remote development centre out of Hyderabad earlier this month underscores the founder & CEO Ritesh Agarwal’s unrelenting drive to transform travel tech by building a robust tech infrastructure. “The centre will help us expedite investment in technology in a number of areas – sales technology, number of new products around holiday packages and price along with products and solutions for corporate travel and travel agents,” said Goel. According to Agarwal, technology has been the biggest driver towards growth and expansion in the last four years. “This new Centre of Excellence for Machine Learning (ML) and Artificial Intelligence (AI) initiatives will help us consolidate our technology leadership,” he said. OYO has a heavily open-sourced technology based stack. Primarily, the languages being used are Java, J2EE as well as earlier systems which are based on Ruby on Rails. “We also use a large number of database technologies like MongoDB, Postgress SQL and Hadoop. Hive is used for database processing then we are using other database technology like Kafka for queueing,” Goel shared. 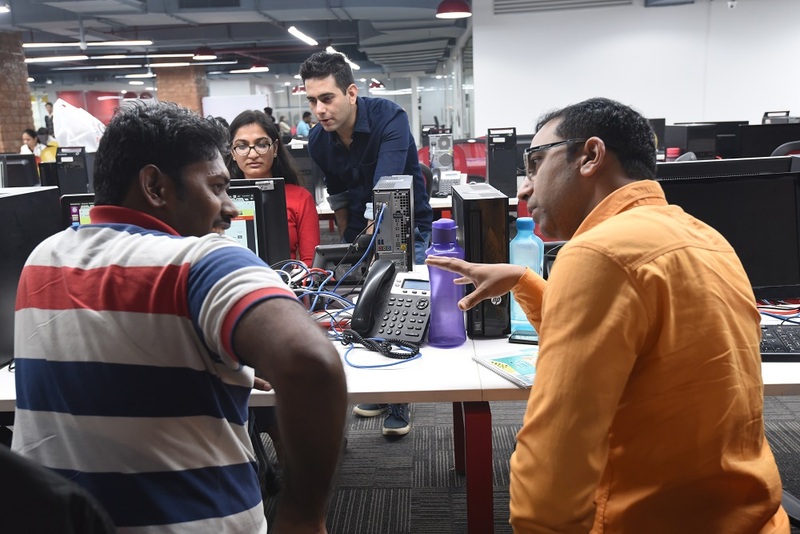 Currently, the engineering team has a headcount of 120 IT professionals and plans are afoot to scale the number to 400 engineers by end of next year. And even though the industry is plagued by a talent crunch and good hires cost time and resources, the tech-focused startup has found a way to tackle the talent shortage problem. “Good data science talent is in extreme short supply, both in India and actually anywhere in the world. But we are able to attract the right talent by demonstrating some of the most complex problems around occupancy prediction, dynamic pricing which the potential hire finds attractive,” said Goel. Talking about their approach, he added that the company doesn’t go through traditional recruiting channels but identifies and reaches out to them directly as a leader. “By doing that, we are able to show what challenge we are resolving and are able to engage with potential hires more effectively,” he added. Currently, the company’s talent pool has a mix of experience from freshers to mid-level professionals. According to Goel, data analytics is core to their business and it further helps to improve the end-to-end customer experience. “It also helps us understand the customer lifetime value, reduce friction in the booking process as well as in the billing experience. There are lot of application for us in predicting customer behavior and understanding the insights from data has helped us improve our booking experience and even roll out innovative products like sunrise check-in,” he shared. The app has the fastest booking experience with just three steps. Goel reveals most of the customers make hotel booking within 24 hours and they are typically on road at that point. Hence, providing them a frictionless experience via the app helps in delivering an improved customer experience. Dynamic Room Pricing: OYO is in an inventory business and if the room goes empty, one has to find the optimum price point where the overall yield – the combination of price and occupancy is maximized. “So, we are constantly watching for hundreds of signals on the demand — from traffic patterns to conversions, upcoming events, data from offline sources and even historical occupancy rates. Based on predictive occupancy, the demand can exceed significantly and in this case, the prices will go up while in other cases if demand is below during off-season then prices will be reduced,” he explained. Understanding Customer Behaviour: When it comes rolling out targeted promotional campaigns, understanding customer behavior to drive engagement is the key. “We are constantly observing customer behavior offline, online and also the traffic that comes from third party channels. We try to understand the different attributes about customer behavior which helps us personalize offers for each customer as well as drive our promotional activity targeting the right set of user base,” he noted. Are Conversational Interfaces Changing the Game for OYO? Chat interfaces made headlines way back in 2016 when OYO entered into a partnership with AI startup Niki.ai to book rooms via their bot. Was it a successful engagement? Not commenting on a specific partner, Goel emphasized how partnership with AI partners like Niki.ai as well as our own investment in building AI channels is very credible to them. But, he confides they are still in the early innings of the chat interface. 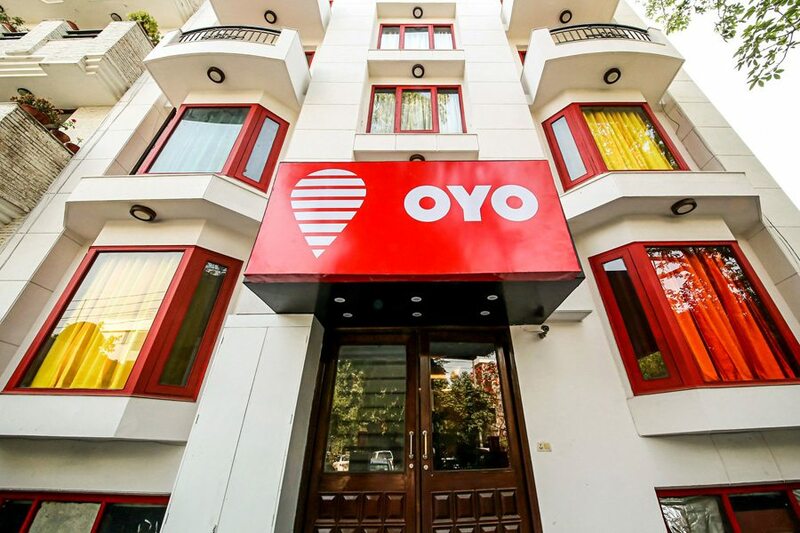 Even though OYO has set itself apart from its competition – OTAs by rebranding as a hotel chain, providing managed services and offering different hospitality offerings (OYO Townhouse), its continued investment in robust tech infrastructure, ML and AI is helping the startup stay ahead of the pack. We asked Goel what are the trends in travel tech to watch out for? “For both hoteliers and aggregators, advances in fields like machine learning and artificial intelligence will drive significant leverage in future. A human-machine collaboration will of course improve interfaces, enhanced BI and faster analytics by moving to cloud means one doesn’t need to wait for a long time to get the result. So, continuous investment in AI capabilities, analytics capabilities, machine learning, data management or insights-as-service-market will drive the future of technology both for aggregators and hotel chains,” he shared, in closing.